Traveling with kids is no easy task. Not always fascinated by stunning architecture or the variety of Tapas and Cava available, Barcelona might seem like an unlikely place to bring your children to for a family holiday. However, Barcelona definitely has more to offer than just architecture and food, that is suitable for travelers of all ages. Here are six activities that can keep both you and your little ones entertained. The Tibidabo Amusement Park is a must go for families with children. With 25 rides like classic roller coasters and even a haunted mansion to discover, great shows and street theater performances, the Tibidabo Amusement Park promises a fun-filled time for family members of all ages. Plus, get a bird’s eye view of Barcelona on the Giradabo, a Ferris wheel in the park’s Skywalk area. Less than an hour away from the city center by public transport and shuttle buses, the Tibidabo Amusement Park should definitely be visited with your entire family. Why not pay a visit to one of the largest and most exciting museums in all of Spain? With an endless amount of interactive exhibitions that include an exhibition on how sand dunes develop and move, by making your own sandstorm, and there's even a planetarium to explore! Definitely do not miss their 1,000 m² jungle greenhouse which is home to 30 m tall trees from the Amazon, and you can even see animals from the tropics, some of which are even free-roaming! There is certainly bound to be something for everyone in this museum, both children and adults alike. With 35 different tanks, 11,000 animals and 450 different species of marine life to discover in Barcelona’s L’aquarium, it is definitely an attraction worth visiting for all families. Spend an afternoon in awe, traveling through an underwater tunnel 80 meters long, playing "finding Nemo" with your kids, and observing the myriad of ocean creatures that call one of the largest oceanariums in all of Europe their home. The L’Aquàrium de Barcelona is definitely a must go for a fun family day out. A trip to Barcelona is not complete without visiting its prized beaches. Enjoy the sun and sand with your little ones as you bask in the glorious beaches of this coastal city. You can even have a picnic day by the beach, with lots of space for your children to run around and play. The best part? You do not have to travel hours upon hours out of the city to have some fun in the sun, with the Barcelona beach only being a mere 20 minutes away from the city center by Metro! The Magic Fountain of Montjuïc is a stunning musical display of colored lights and water acrobatics, that come together to produce sheer magic. Just minutes away from the Espanya metro station, the magic fountain is certainly not one to be missed when you are in Barcelona. Both your kids and yourself will definitely be in for a treat as this visual spectacle is one of the most visited attractions in all of Barcelona. It should be noted that the fountain does not operate on Mondays, Tuesdays or Wednesdays, and show times vary throughout the year. Expose your children to the culinary wonders that Barcelona has to offer by taking a cooking class! 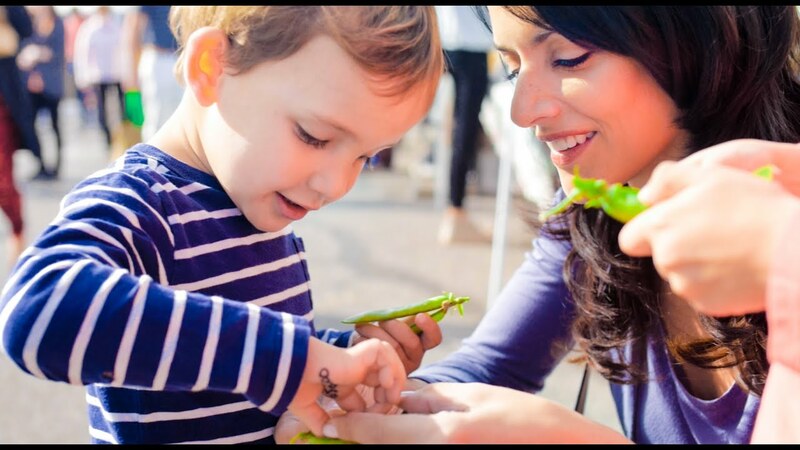 Get their hands down and dirty through an interactive cooking class that engages both you and your children, while learning about the culture and cuisine of Barcelona. Your young ones will surely have a blast making and eating the delicious food, that they helped to make. Many of our BonAppetour hosts offer cooking classes, like David, who will teach you how to make Paella from scratch! This is certainly a great way for the whole family to learn more about the city, while having delicious and authentic food, straight from a local's kitchen. Barcelona is definitely not a city just for adults to enjoy, but for the entire family as well! 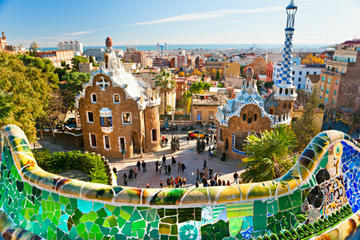 Hopefully, these tips have helped you plan a fruitful trip to Barcelona. If you think that we missed out something important, do let us know in the comments below! We would love to hear more about your plans to travel to Barcelona.